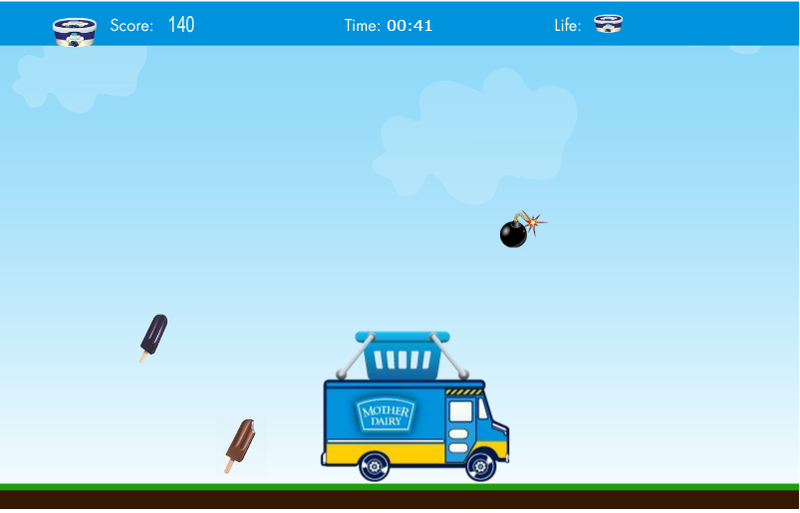 The main objective of Ice Truck Grabber Challenge by Mother Dairy is to increase Users engagement with the Brand. The other objective is also to make users aware about the availability of all their offerings and flavours. 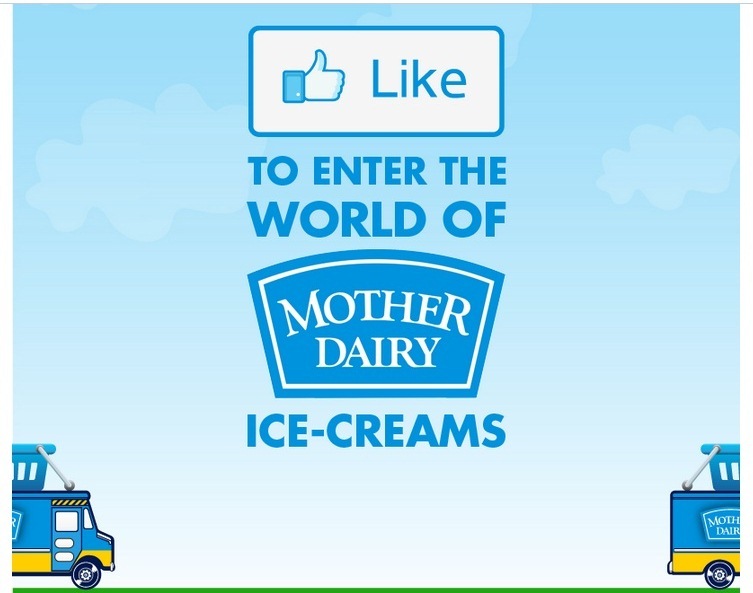 To enter into the world of mother dairy ice-creams to play the Ice Truck Grabber Challenge, you first have to ‘Like’ the page. 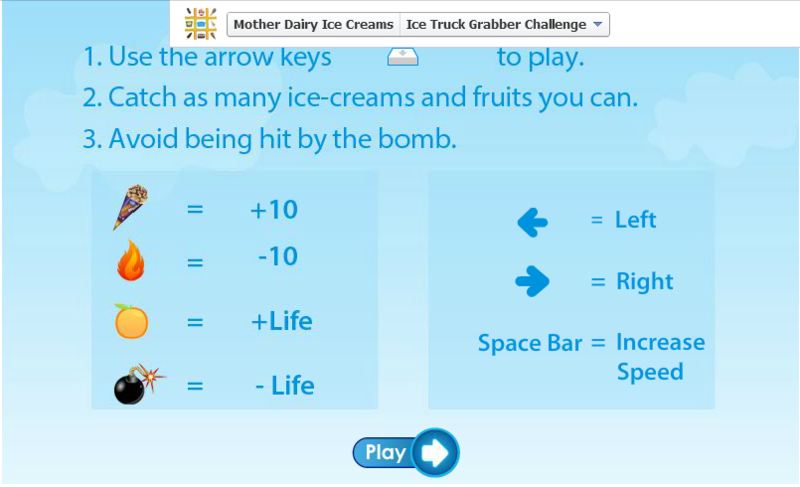 Once you enter into the Ice truck Grabber challenge tab to play, by Following the instructions shown, you have to catch as many ice-creams and fruits as you can by avoiding hitting the bomb. Click on the ‘Play’ and start playing. With the Mother Dairy Truck, Pick as many fruits and Ice-creams as you can. There is no time limit to this game. Every ice-cream gives you +10, every fruit gives you +life, every fire gives you -10 and every bomb gives you -life. Score as high as you can and Submit the score with your contact details. Winners get a chance to win goodies. The app is very user friendly with least complications and anybody can play it. The sharing option at the end of the game enables you to also share the app on Facebook. It helps in reaching to the wide audience. The graphics are good and can be played smoothly without any hiccups. The best thing is how they are positioning themselves as an ic-cream vendor. 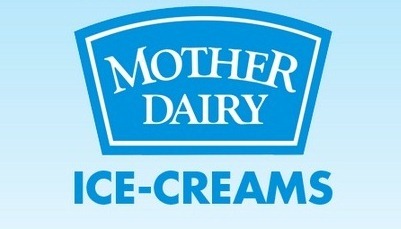 Mother Dairy is primarily associated with milk, and through this game it is trying to strengthen its positioning as an ice-cream vendor as well. Which is a really really good strategy. The game is interesting as collecting ice-creams and fruits becomes difficult with the falling bombs and fire but it becomes monotonous after a certain stage. 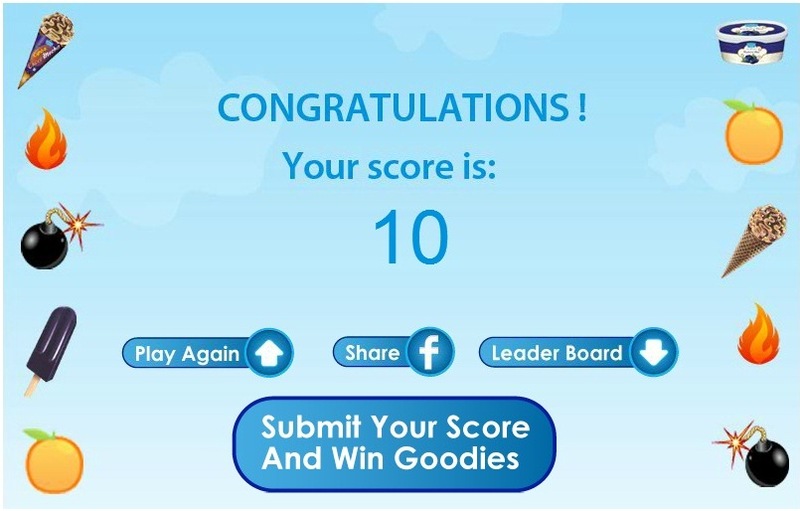 Although the app allows you to play as many times you want, you can submit the score only once. After submitting your score, if you wish to play, you can just see ‘Sorry you have already played this game’. They should allow us to play more, Right? A nice attempt by Mother Dairy Ice-creams to engage its users. To enter into the world of mother dairy ice-creams to play the Ice Truck Grabber Challenge, Click Here. Does Women’s Horlicks ‘Stories of Strength’ stand as a differentiator out of the many pro-women campaigns? Does Patanjali Paridhan’s digital campaign convey click?